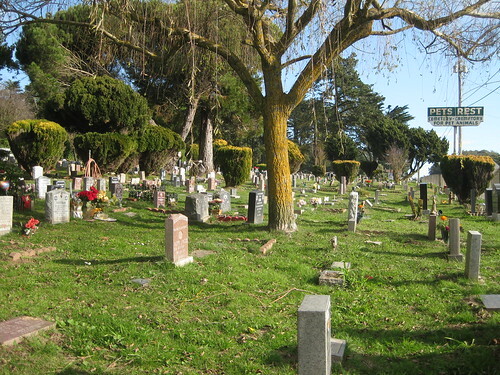 Located in a city where the number of the deceased out number the living, Pet’s Rest cemetery and crematory is a place for pets to be put to rest after their time comes. The cemetery was bigger a couple of years back but due to part of the land being under lease, some pets had to be dug up and moved elsewhere. There was a news clip about it that had shown our pet’s tombstone for a moment. I can’t find the clip though. Besides the land lease incident, Pet’s Rest has improved their facilities since our first visit to them. They have a remolded chapel and a mural that shows pets going up to heaven. Their lobby has also been changed being nicer and more professional looking. It was a sad time for our pet, which I heard died meowing as a blackout happened at my grandparents house. It was my grandparent’s pet for over 20 years which is a long time. We brought it in to Pet’s Rest and they took care of the rest. They even have a chapel (which was remolded recently) that you can say your goodbyes before a burial ceremony that you witness. Ever since the passing of our pet, we visit every so often, as there are no limits in terms of visiting times. That’s all I can really say about my experience with them. 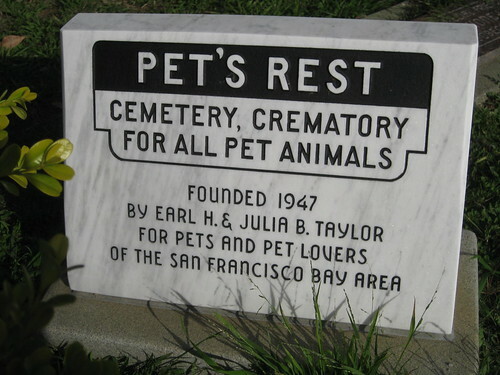 If you live in the Bay Area, and want a good place for your pet when the time comes, then Pet’s Rest is your call. When your pet’s time comes, how do you take of the remains, especially if there isn’t a designated place to do it? In a meaningful place, a place close to home, or none of the above? This has been around for a while, but only recently has its effects been dramatically shown in aggressive protests around my college campus. Usually I see the little signs that say fight the cuts scattered across campus, or mini protests going on that are just several people with signs trying to get people to support their cause. But during the last few months at other Bay Area college campuses, there have been more aggressive attempts to get the message out to Sacramento to try to stop the rising prices of college. Ever since California governor Arnold Schwarzenegger decided to cut money from the CSU and UC systems, there have been more and more unrest among students and teachers who are being directly affected. One example of the protests that has happened was at UC Berkeley. 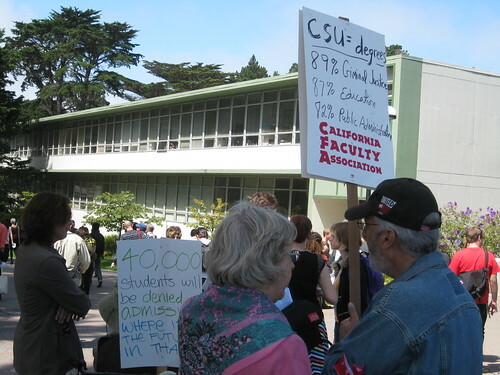 Students barricaded themselves in one of the campuses buildings in an effort to “demand back the 38 custodial jobs they demanded” and to try to “persuade the UC regents to rescind their decision to increase tuition by 32 percent” fall 2010. Read more about this at SFgate.com. Video of the UC Berkeley protest. Only a few days ago on San Francisco State University campus, we have had a similar protest. I heard about it on the internet before heading to school, so I came prepared with my digital camera. This is the description of the event from my YouTube video description. “On December 9th, 2009, about 20-30 students take over the Business Building on the San Francisco State University main campus in an effort to get the message out against the rising fees and the increasing budget cuts that continue to affect the students education. There have been other similar protests from other colleges in the bay area to rally up support against the decisions of the state capital.” More details of the protest against the budget cuts can be found on the description of the video below on YouTube. Ever since the beginning of this semester, it has been extremely hard to get the classes we want or need, because of decreased classes and increasing fees. I know that we are in a time of economical hardship and the money that isn’t going to education in California is suppose to be going to programs in more need of money, but I still believe that if the colleges are not receiving the money it needs to support the students, teachers, and staff, then its like the future generations foundation of education rotting away. I may not support the protests at individual colleges because of the problems it causes for students and costs of police, but it doesn’t mean to give up. I believe that if we had a number from every CA college that is against the budget cuts go to the source, that is, Sacramento, and protest there, then maybe our message of financial hardship can be heard more clearly. I don’t see Arnold responding to our little protests because they are all far from the state capital. This is just what I think needs to be done to have more impact when it comes to send a message about how dire the colleges in California have become. Just wondering, since I’m always hearing about California’s college problems (because I’m here in CA), I don’t hear about other colleges in other US states having money problems. I know that they are being affected by the economy, but it seems that their states are handling it better than here. If you go to college in the US, what is the financial state of your college? 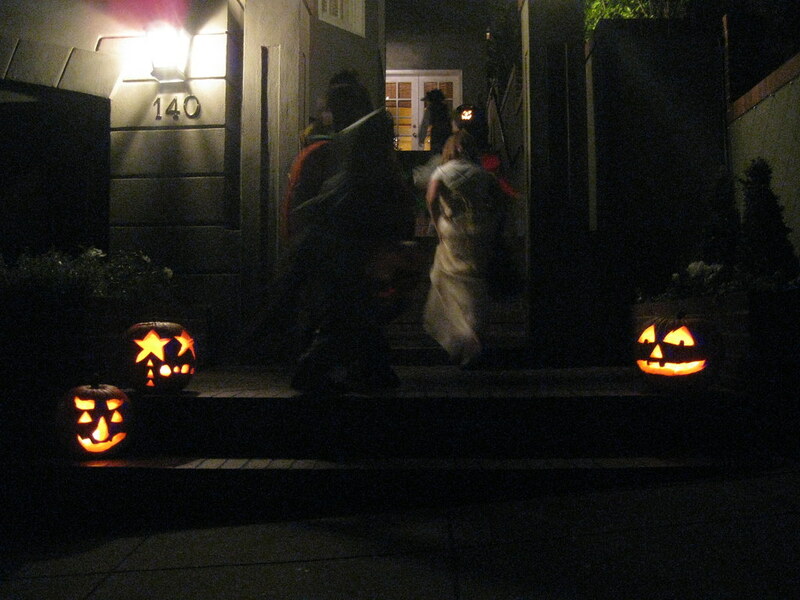 This year’s Halloween in San Francisco was pretty much the same as any other year for me. No parties in the Castro district since the violence that occurred a few years ago with shootings and stabbings. I remember a past Halloween not so long ago that me and my family went to the Sea Cliff area of San Francisco to see Robin Williams house to see if he was giving out candy. Of course he wasn’t personally there but standing if front of his closed gate entrance was a few people giving away glow necklaces. The area was swarming with tons of teens from the nearby neighborhood so it was hard driving through let alone finding parking. Anyways this year for trick or treating with my siblings we went to the same area we usually go to, Forest Hill which is near Hoover Middle School, because it tends to be more lively than any district on the west side on the city. 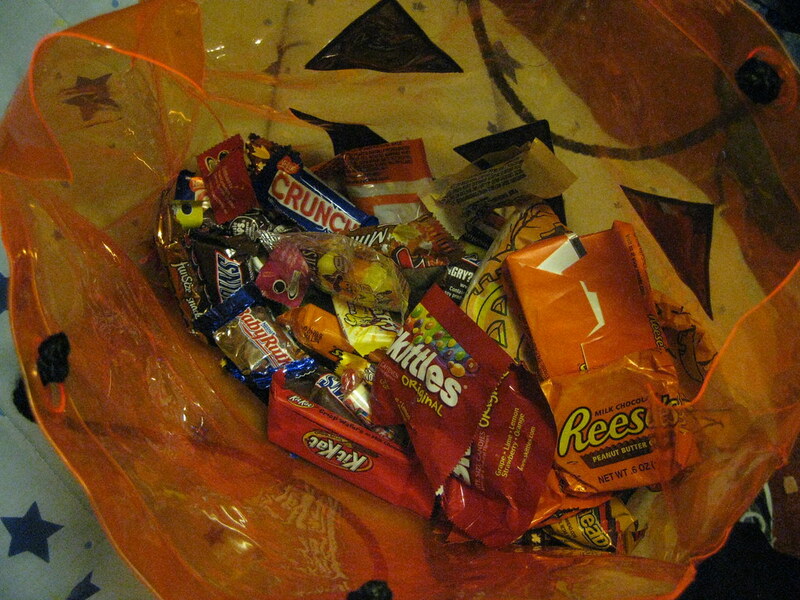 The houses in the area are nice looking and give out decent amounts of candy. Sometimes they even let you take as much as you want but we are generous enough to get a bit only. The only difference I saw from previous years of TOT was the amount of kids, as it seemed a lot less than other years. I think the economy may be the cause but that’s just my opinion. The candy my siblings got was common candy, though they couldn’t keep it all as they are being limited to the amount of candy they get for their teeth health. Site currently up and running. 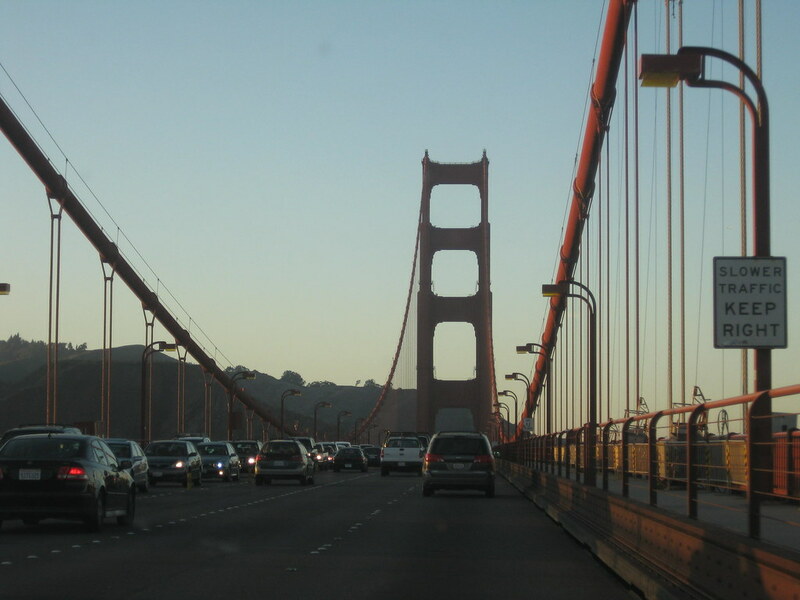 Keep a lookout for blogs about what goes on here in the San Francsico Bay Area.